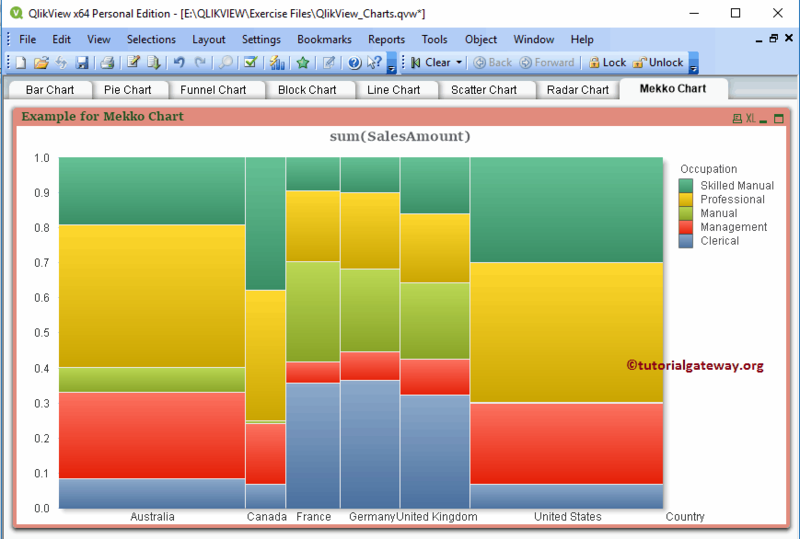 Mekko Chart in QlikView is very useful to display up to three levels of data. 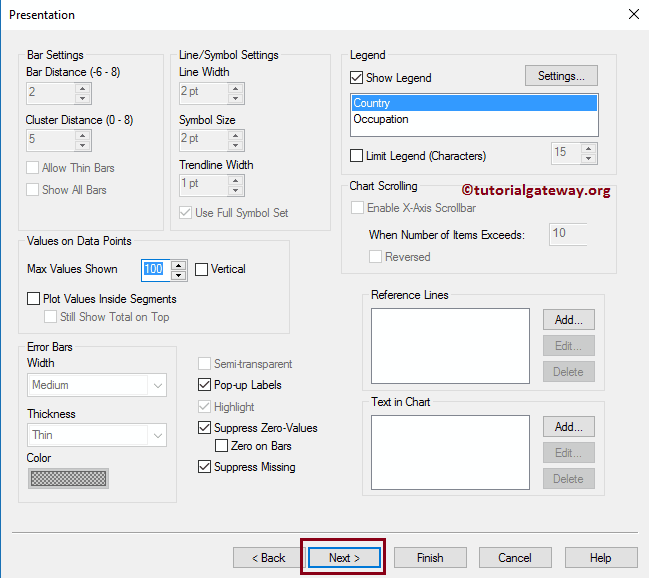 In this article we will show you, How to Create a Mekko Chart in QlikView with example. For this we are going to use the data present in the following Excel table. 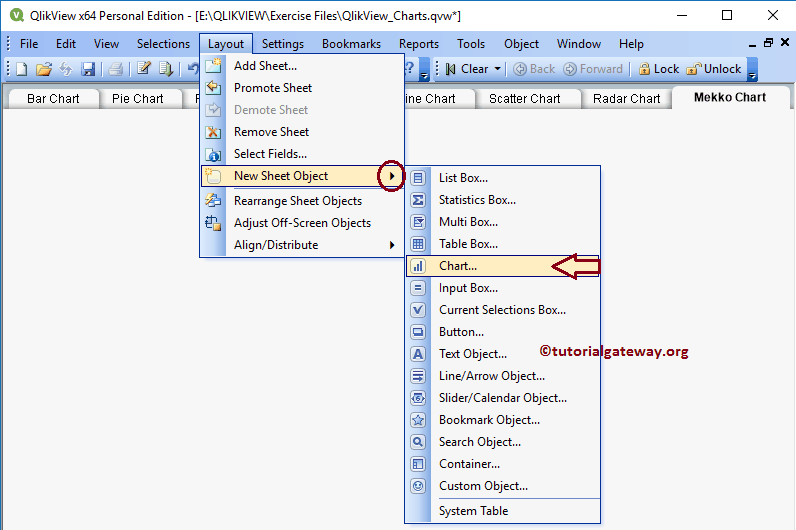 From the below screenshot you can observe that, we are loading the above specified excel sheet into the QlikView. 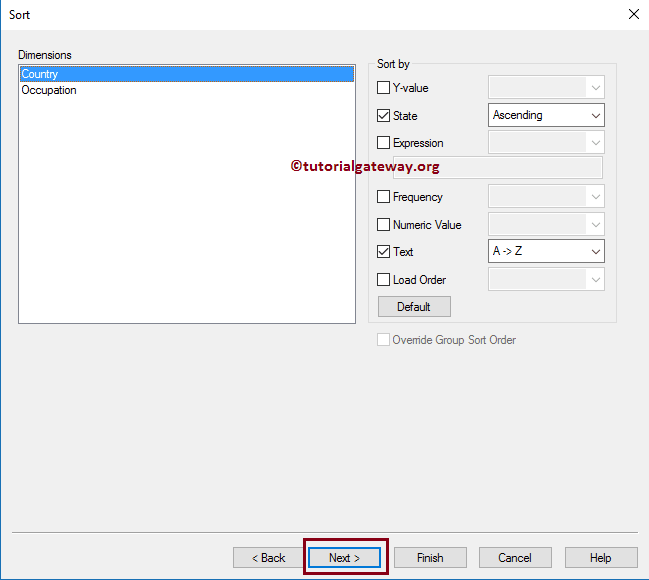 I suggest you to refer Import data from Excel to QlikView article to understand the steps involved in importing the excel tables. In this example we will create a Mekko chart for all the Countries, Occupation, and it’s corresponding sales amount. 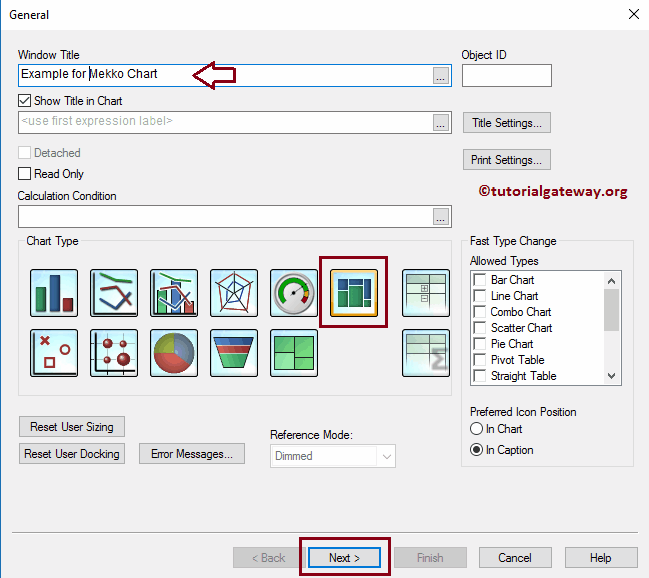 To do this, we are going to use the Country, occupation Columns as the dimension data, and the Sales Amount expression. Another approach is to Right-click on the Report area will open the Context menu. 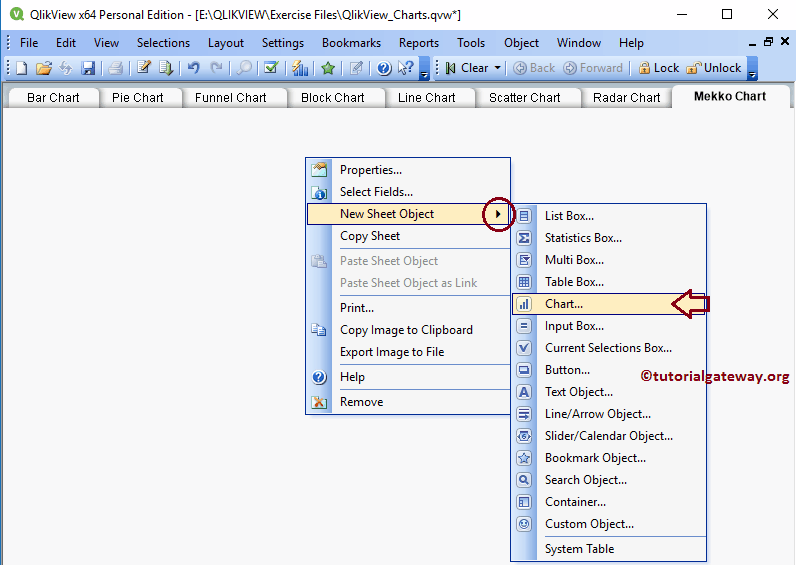 Please select the New Sheet Object from the context menu, and then select the Charts.. option. 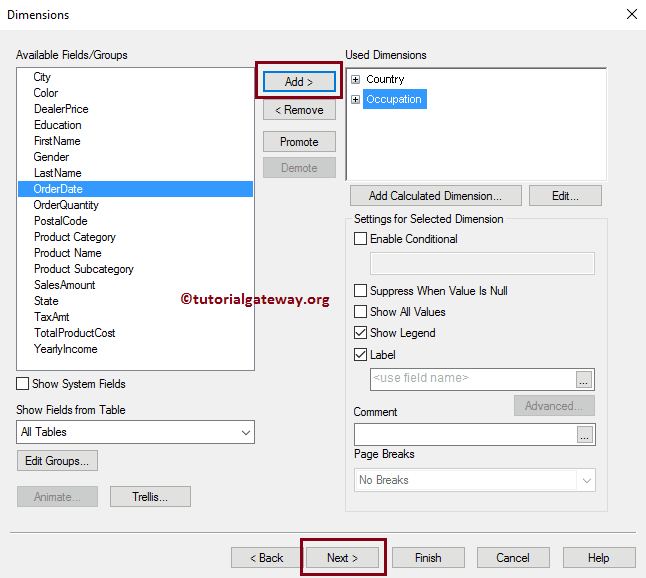 Please select the Dimension columns that you want to use in your Mekko chart. 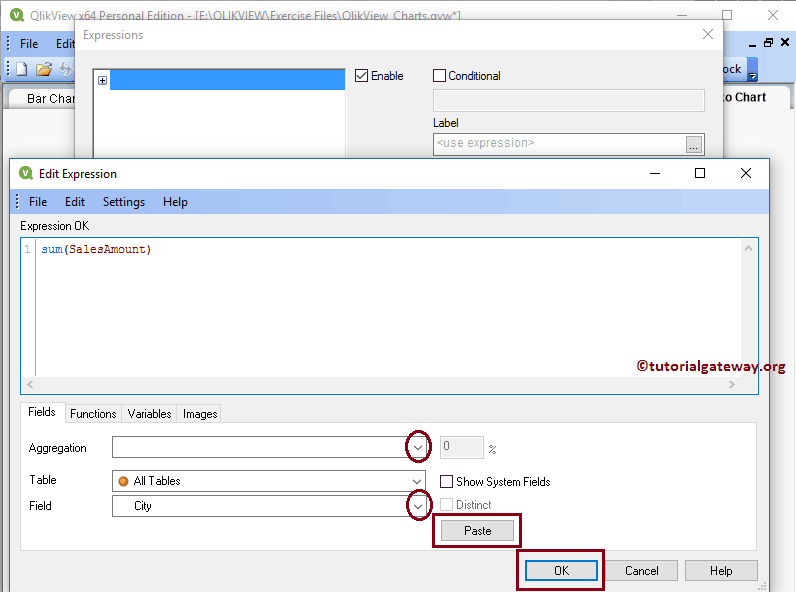 For this example, we are adding the Country, and Occupation dimensions to the used dimension section. 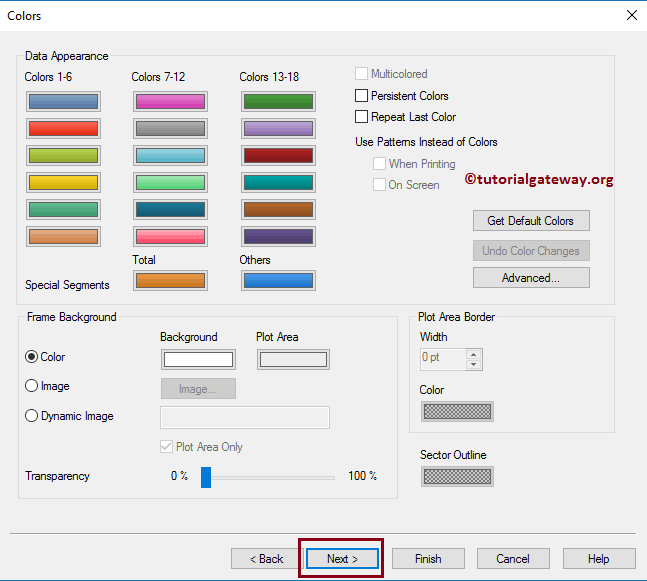 Once you click on the Next button, an Expression page will be opened, and on top of that, a pop up window called Edit Expression will be opened. 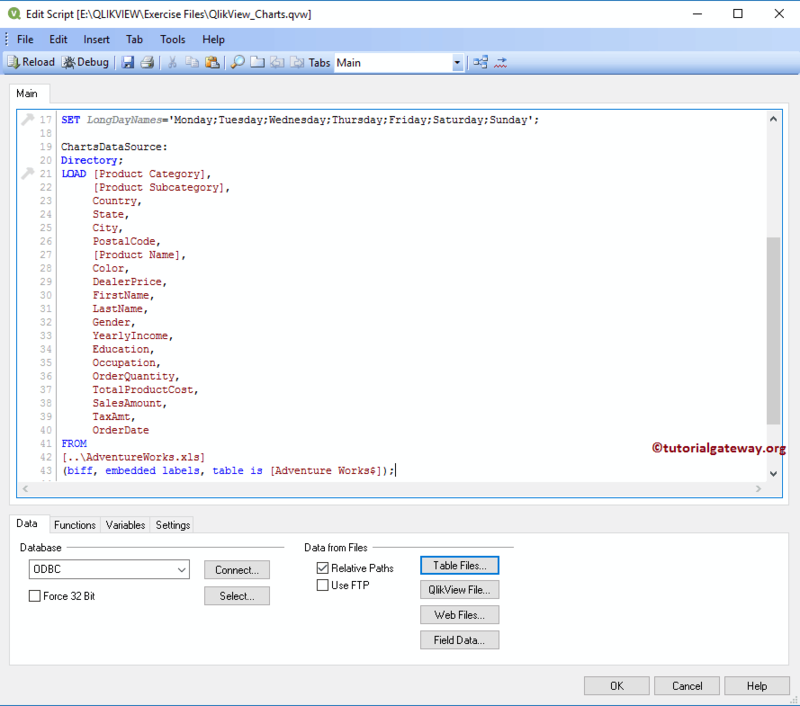 You can use this window to write the custom expression. 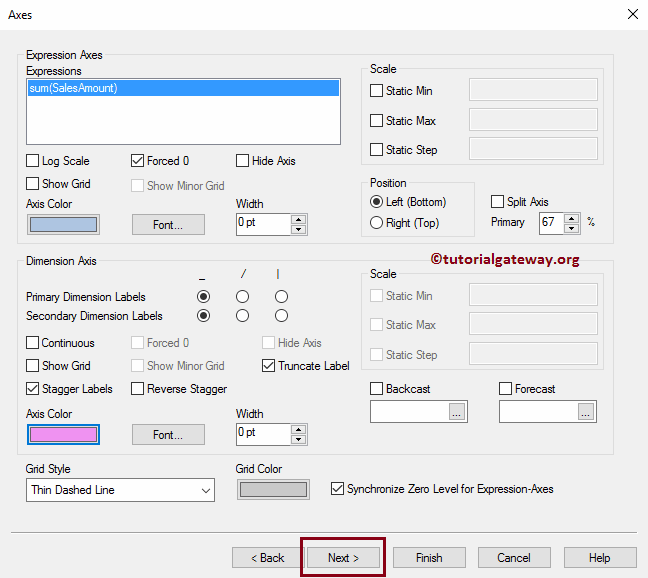 As you can see from the below screenshot, we are writing an expression under the Expression OK section. 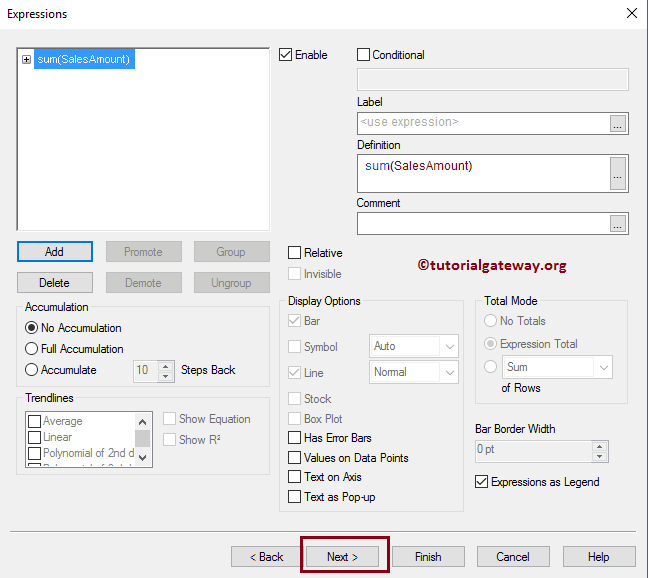 If you don’t know to write an expression, Please select the Filed as Sales Amount, Aggregation as Sum, and click the Paste button. 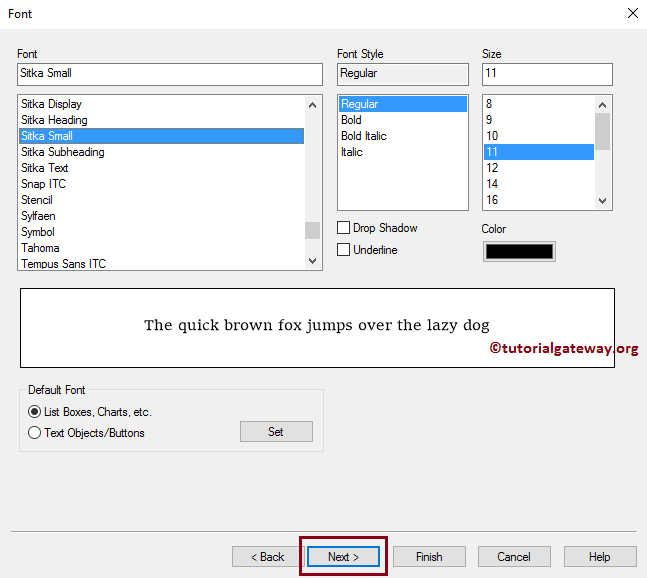 Click OK button to close the edit expression window, and then click Next button. Sort page is useful to specify the sorting order for the dimensions. In this example, you can sort the Country in Ascending, or Descending order. Next page is used to change the look, and style of a Mekko chart. 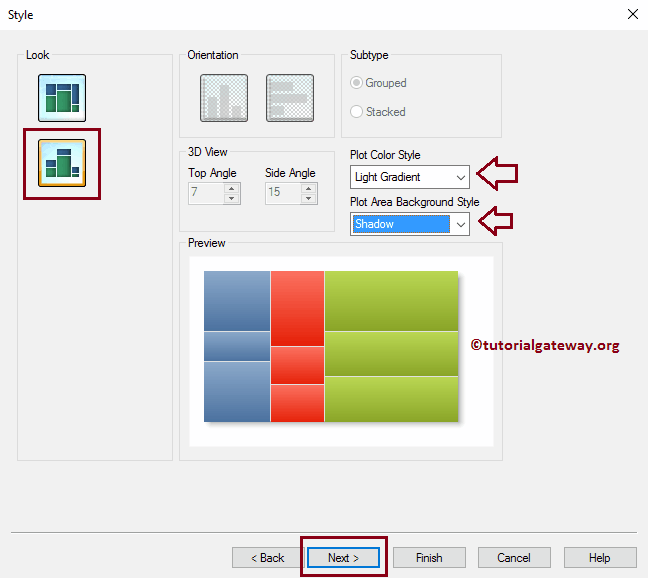 Here we are changing the Plot Area Background Style to Shadow, and Plot Color Style to Light Gradient. 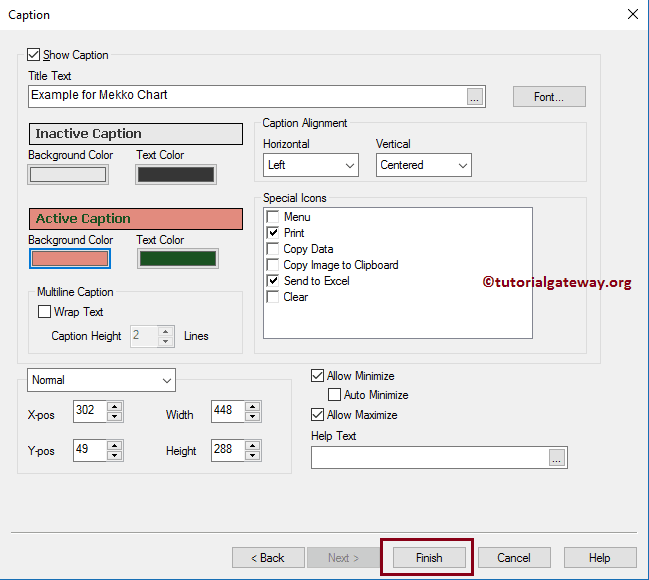 Presentation page is used to change the Presentation of a Mekko chart. For example, you can change the Data Point, you can enable scrolling on axis etc. 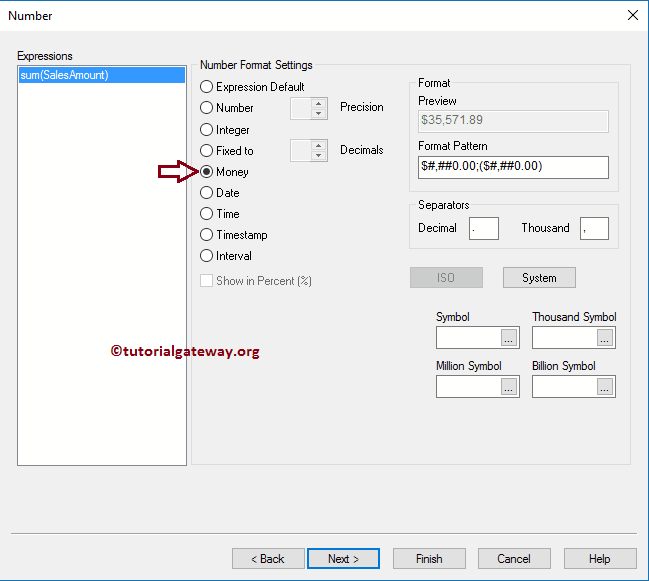 Formatting the Expression value: As we all know that the Sum of Sales Amount is money, so we are selecting the money. 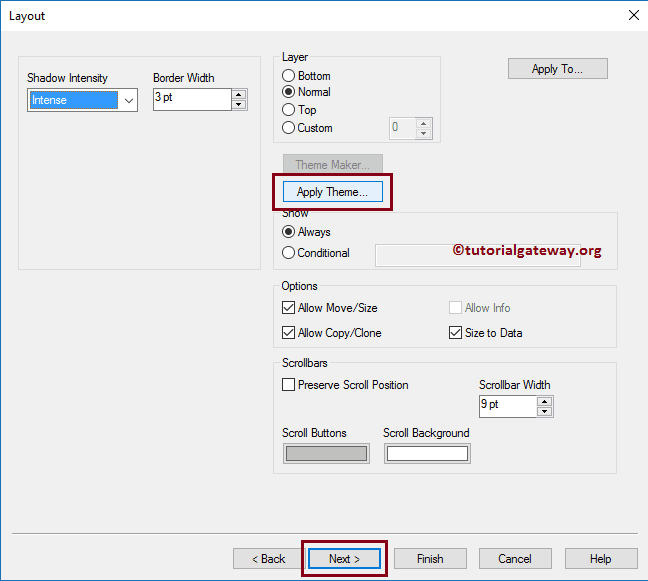 Layout page provide the shadow effects to your Mekko chart, you can apply the custom theme by clicking an Apply Theme button. From the below screenshot you can see that, we changed the shadow intensity to Intense, and Border width to 3 (extra thickness to border). 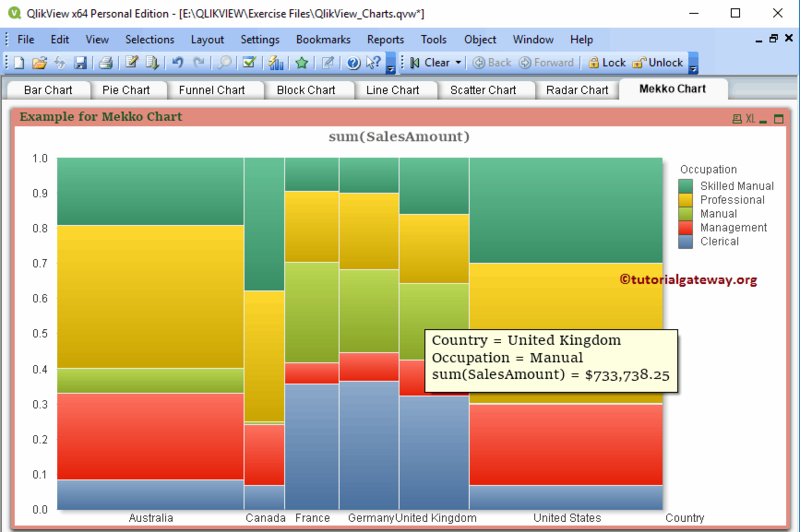 Now you can see our newly created Mekko Chart in QlikView. Let me hover over my mouse on the Mekko chart. As you can see from the below screenshot, it is displaying the Country Name, Occupation, and it’s Sales amount (Data label).